Bicycle disc is essential to your bicycle. It is prone to damages that can cause a stir while on the road. If you take good care of disc brake, it will serve you. 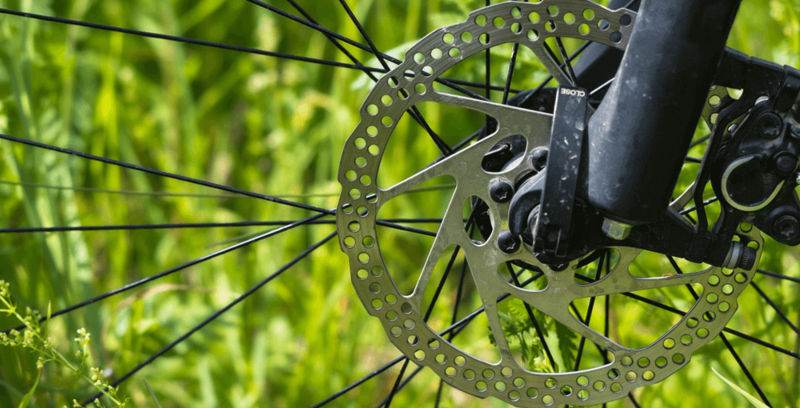 This article is going to show you everything you need to know about bicycle disc brakes maintenance. People only watch the rotor and forget about the pad. With continuous friction pad are likely to wear out. If you don't do regular checking, a small problem that could be rectified could become huge hence only require replacement. You are supposed to change the pad immediately it wears out. It is important to check on them to see if they are in good condition. Regular checking and maintenance will save you a lot of repair costs as your pad will be in good condition. The first thing you should do after buying the bike is to enable them to have active and standby brake by generating some heat on the pads before using the bicycle. Levers will reduce strength that pulls them toward the bars and brake became more powerful. The best way to minimize noise, eliminate brakes dragging and reduce noise once you apply brakes is by placing calipers at the center. If your brakes have shims or thin washers on mounting bolts of calipers used, you need either add or reduce their shims, and that will move calipers over the rotor and they will be on the middle. The rotor is supposed to be ever clean to protect them from damage. Though rotor is prone to excessive wobbling, gouges or cracks, most are caused by dirt and can cause brake failure. When the rotor is clean, then the pads are also clean. When there is oil in the rotor, there are high chances that it can extend it to the pads. It is also not advisable to touch either the pad or the rotor with the bare hand as it can split oil traces. Lint-free material of either old t-shirt or towel can be used to clean brake pads. The material used need to be clean. Keep it away from oil, and protect your brake pad as you clean it. Though there are many bicycle-specific aerosol disk brake cleaner in the market, you need to select one that is powerful. Disk break cleaner is used to wash traces of the grime oil and grease leaving your brake pads clean without any residue. You can also use isopropyl alcohol bought from a trusted shop. It is the best cleaner for brake disk and the cheapest. Brake pads and rotor need to be given an extra watch to enable them to perform their work perfectly. Emery cloth or sandpaper is used to rub the pads across to grit lightly. Though it's the least option for some people to improve a brake pad that had been destroyed by oil, it comes with some danger. If the pads have touched your oil or grease, you are advised to change it and avoid endangering yourself with brake failure. Adjusting brakes by squeezing brake lever and tight calipers bolts are not advisable. You need to get something to stick between the pads and the rooter to create a balance gap and apply normal techniques. Using the old business card, it may work, but you need to use paper that will show when they are dirty. You can also find appropriate thickness by use of automotive filler gauge. It is used together with Hayes pad and rotor alignment tool to work effectively. To avoid piston fire, you need to pool the lever with rotor between the pad and disk because of self-adjustment nature of disc brakes. If you chose to prevent this, you need to fit plastic spacer between the piston and the disc. You can use a folded piece of cardboard. Hitting your rotors will pass effect on brake pad that will alter the functions of the brakes. If you are flying on a trip with your bicycle, you need to remove brake the disc and store them separately to avoid exposure to dust. The best way to maintain brakes after use is bleeding them, this is just changing the fluid in your stoppers and making them spongy.